Morsels, a Traverse City Restaurant, Coffee Shop, and Cafe. 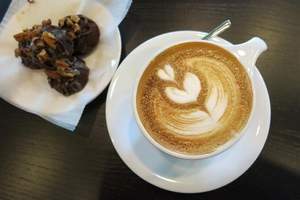 Chic bakery with bite-sized treats, breakfast sandwiches, perfect coffees and quick lunches. In-store menu here. Facebook here.